HELLO FROM SKILLTECH. BOOK IN FOR MANUAL LESSONS ONLY ON THE SOUTH SIDE OF CANBERRA. Skilltech Driver Training Professionals was established in the mid 1990s and has a very successful record in enabling learner drivers to drive safely on our roads. We have over 40,000 lessons of driver instructor experience. Skilltech is a highly respected Driving School in the Canberra region. 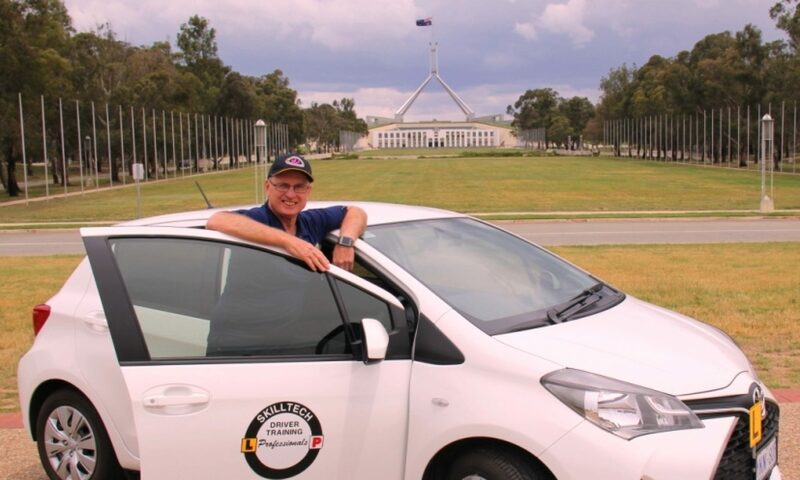 Paul, the owner, who is a MANUAL DRIVING INSTRUCTOR, only works on the south side of Canberra. We do not have an auto instructor. Our driving lesson fee for an hour is $80. Call today on 0419 469 194 and book in with Paul. He conducts driving lessons in a manual dual-controlled late model Toyota Yaris.